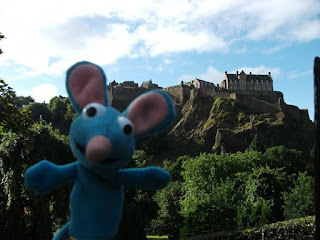 If you’re reading this blog post, you likely came across it via my Facebook page, and are thus likely already familiar with the exploits of a loveable, blue, mouse finger puppet named Tutter (full title: Travel Tutter) and perhaps even the full-sized model, affectionately known as Big Brudder Tutter. But do you know his* origins? 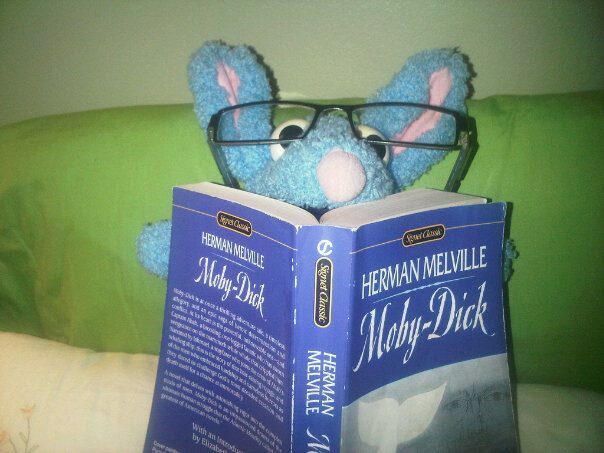 Are you privy to The Story of Tutter? With a brother six years my junior, I managed to stay up to speed on children’s television programming long past my childhood (and adolescence…). 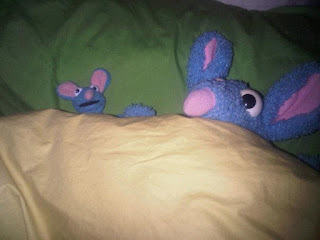 As an ardent fan of The Muppets, I was inclined towards Bear in the Big Blue House and the adorable, albeit saucy, mouse Tutter. 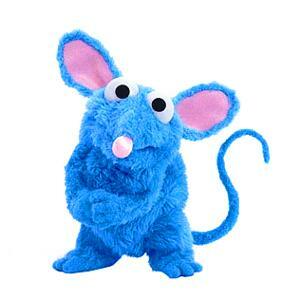 Then one day, around age 12 or 13, a friend and I came into possession of a finger puppet Tutter. I won’t divulge how, for the privacy of those involved in Tutter’s dubious beginnings. 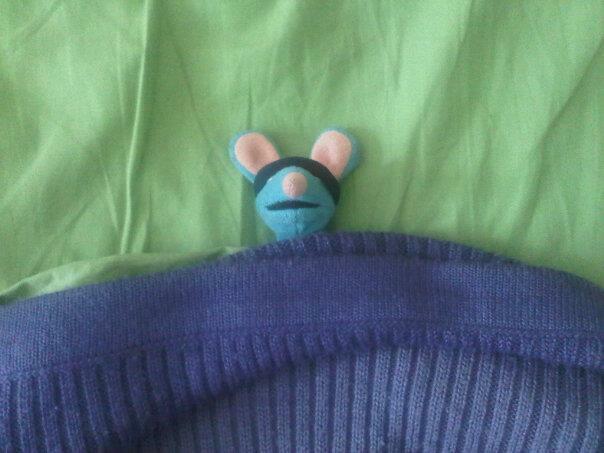 Tutter after a hard night on the town. Like the Ring of Power, Tutter lay dormant for many a year – approximately 10, to be precise. I liked him, and played with him alongside my vast and ever-growing collection of toys and puppets, but he didn’t really have a personality of his own. In my mid-teens, I purchased the full-sized plush Tutter, because two Tutters are better than one. 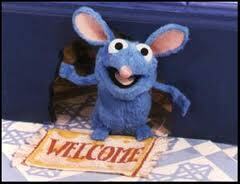 Perhaps ironically, it wasn’t until my early adulthood that Tutter, shall I say, blossomed into the mouse he is today. Big Brudder pretty much has a Master's in English. Travel Tutter, specifically, was born in 2008 when he accompanied me to England for a four-week study abroad program at Memorial University’s campus in Old Harlow. He went on some day trips, saw some plays, but wasn’t quite yet a tourist gimmick. Within the following few years, he gradually became my travel token, a subject for every requisite touristy photo. 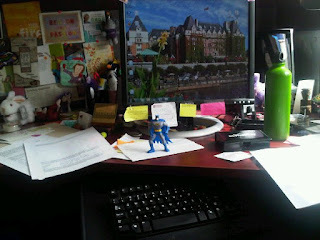 Many people have taken toys or figurines on trips for photo ops – but I’ve kept it up with surprising alacrity. Tutter at Edinburgh Castle in Scotland. 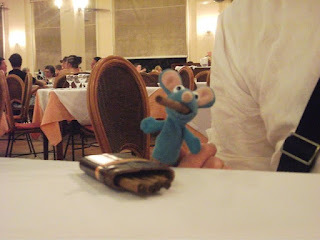 Tutter smoking some Cubans in Cuba. As long as I can remember, toy animals have been – and are – magic. I brought my two GANZ “Wrinkles” dog puppets, Shiloh and Rink-a-Dink (I came up with the latter appellation all by myself) to school pretty much every day of Grade Two and entertained (annoyed?) my classmates with informal puppet show sagas. I wrote and illustrated stories about the adventures of these two dog puppets. 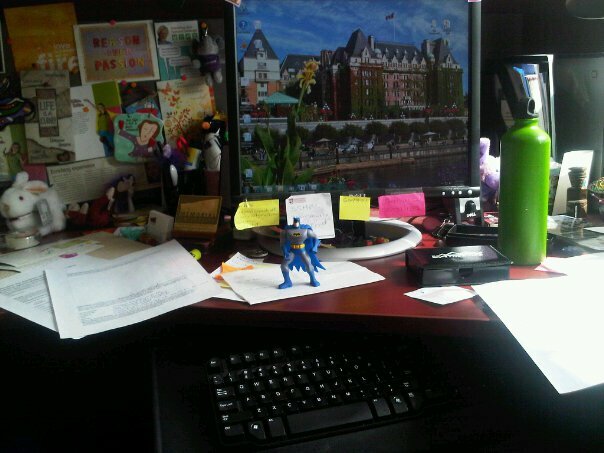 A few toys guarding my former office. Anyone who has known me for a long time is well aware of my (healthy!) obsession with toys and other collectable objects. 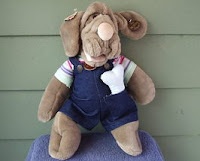 And not just sentimental stuffed animals that have stuck around since childhood; many of my current plush toys, puppets, and other creatures are acquisitions since adulthood. Penguins, Paddingtons, or an Edgar Allen Poe doll – I love toys. 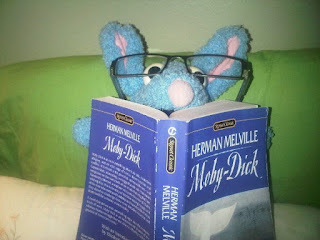 Playing with stuffed animals and other toys was an incredibly valuable part of my childhood and imaginative and creative development and, in many ways, this part of my personality never faded with age. Let's not forget about Grandma Flutter. Tutter is an elaborate inside joke that keeps on growing. Eventually, everyone was “in” on it – friends, family, co-workers. Sometimes Tutter is very active, and sometimes he lays low for awhile. 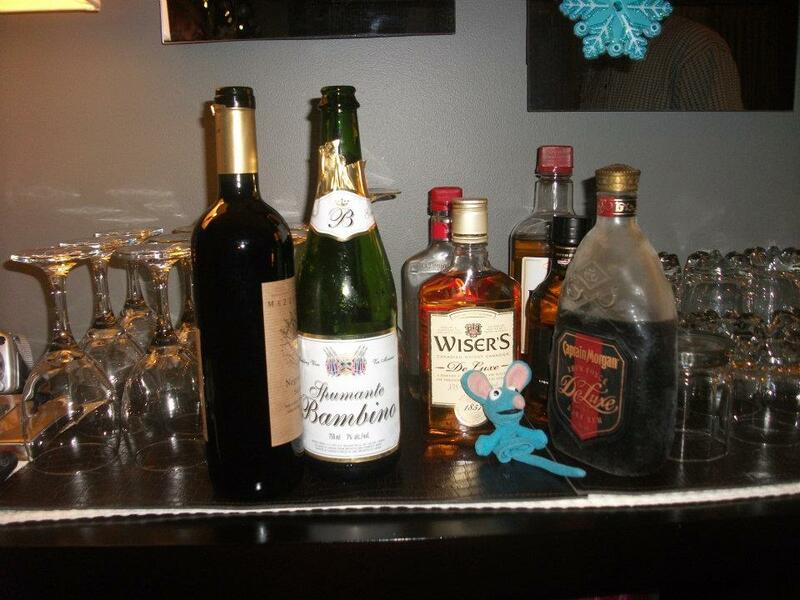 It only took the first night of inebriated merriment at Thomson House following the Departmental Wine and Cheese for Tutter to make his appearance, and the hilarity with which my new friends have accepted, embraced, and loved, this old, ragged, purportedly alcoholic mouse was a great sign of things to come. 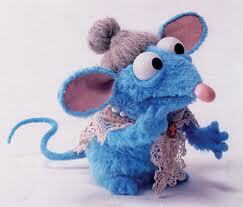 * I typically refer to “Tutter” as a single character/entity although embodied in two forms.